This week I decided to do a written version of what my baby eats in a day, rather than the usual video. 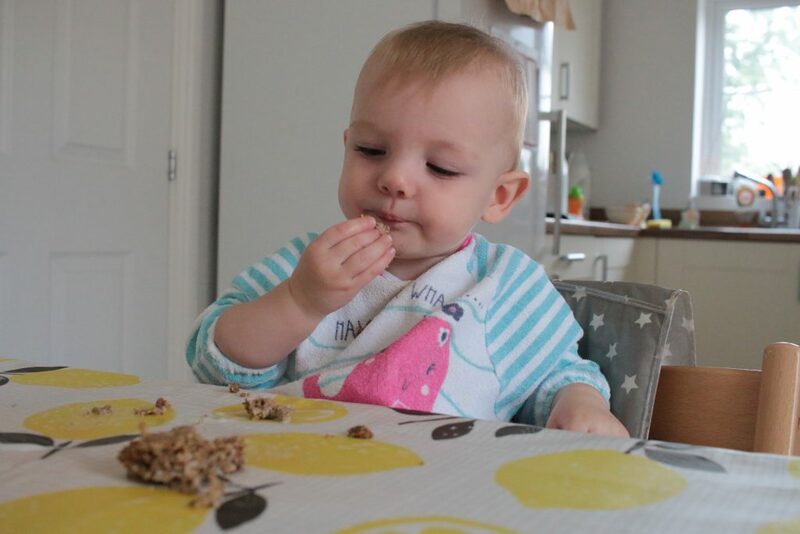 We do baby led weaning with Eleanor and she loves it. She eats whatever we eat, except sometimes at breakfast we’ll all have different cereal. For breakfast Eleanor had a slightly soggy weatabix and also some of my crumpet. We buy pickelets, which are thinner crumpets, as they have less salt. For lunch my husband cooked up some drop scones while I cut up lots of fruit. 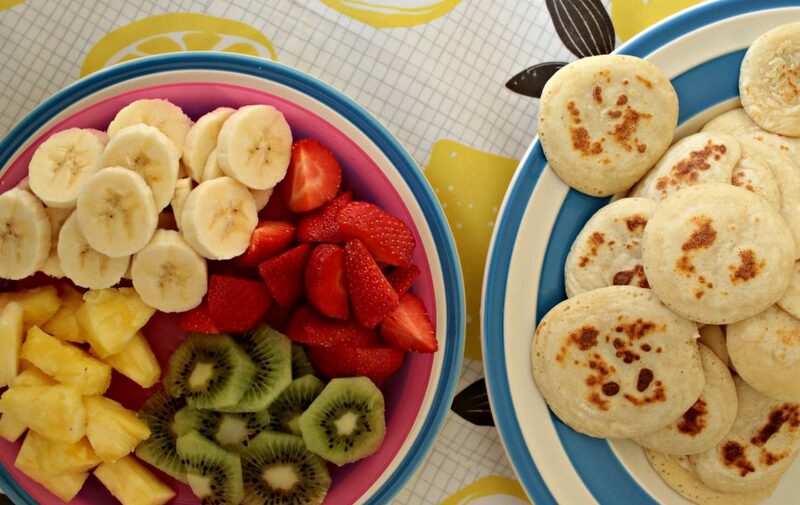 While he covered his pancakes in sugar, me and Eleanor ate them with all the fruit. For once her favourite was the banana, it’s usually the strawberries or the pineapple. She seems to go through phases of liking some more than others. Okay, I’m going to be honest here, dinner for me was a failure. 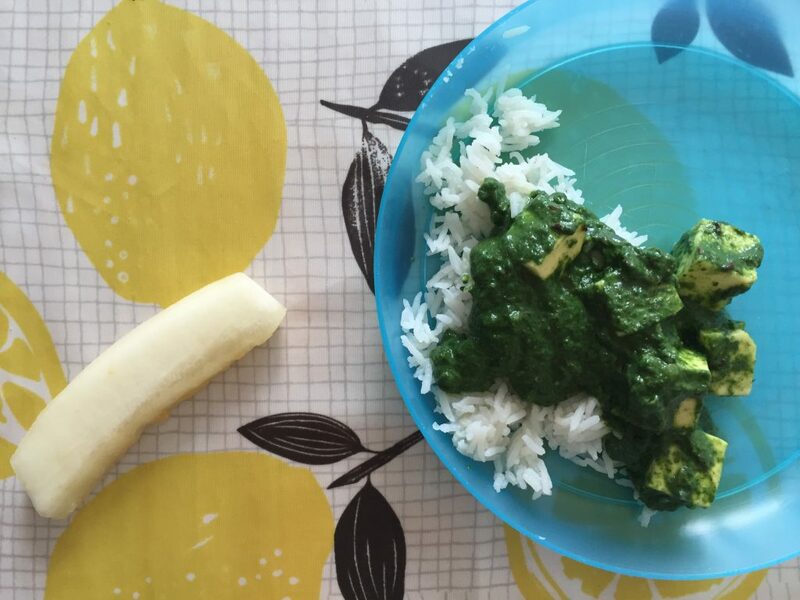 I made this saag paneer from the Baby Led Weaning Cookbook and I found it tasted so bland! Simon and I couldn’t eat it but Eleanor loved it!! Paneer is a low-salt Indian cheese and she couldn’t get enough of it. I topped her up with an extra serving. Although afterwards everything was green! 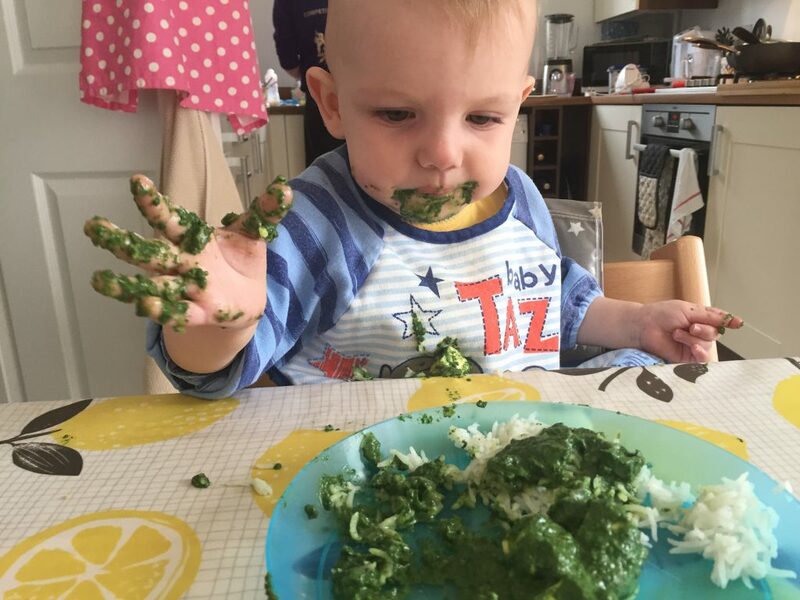 I hope this has given you some meal inspiration for your baby/toddler. You can find more ideas on my meal plans. What does your little one usually eat in a day?